I’m sure that, like myself, you were surprised to hear that Hollywood superstar Will Smith wants to make a cameo appearance on EastEnders. According to The Sun newspaper, Big Willy admitted that he was "transfixed" by the show when he watched the Sunday afternoon omnibus during a trip to the UK earlier this year. Smith also claimed that BBC America should change its mind about its decision to axe EastEnders. The US station dropped EastEnders in September 2003. Hey soapsters, I don’t know about you, but the thought of a Hollywood superstar like Will Smith wanting to appear on EastEnders is something that I personally find highly amusing. I mean, can you imagine how much his fees would be just to do a walk on cameo? Big Willy would probably be so expensive that there wouldn’t be enough money left in the kitty to pay the regular actors… I can just see it now: Will Smith all on his jack-jones in The Vic wondering why it’s taking so long to get a pint of Peggy Mitchell’s finest British ale. But anyway, who knows? Maybe Deidrich Santer, the show’s producer, will try and grant Will Smith his wish… and if that happens then it probably won’t be too long before the Hollywood action hero is seen saving Walford from some kind of weird alien invasion… cos anything’s possible in soap land. So, would you like to see Will Smith on EastEnders? Let us know your thoughts by leaving a comment. 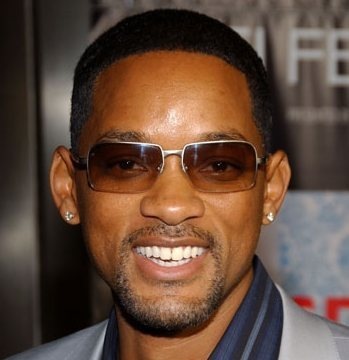 i would like to see will smith in eastenders i think he would be great in it.